“Black Friday” and its never-ending weekend is now over, but that doesn’t meant the deals have stopped. 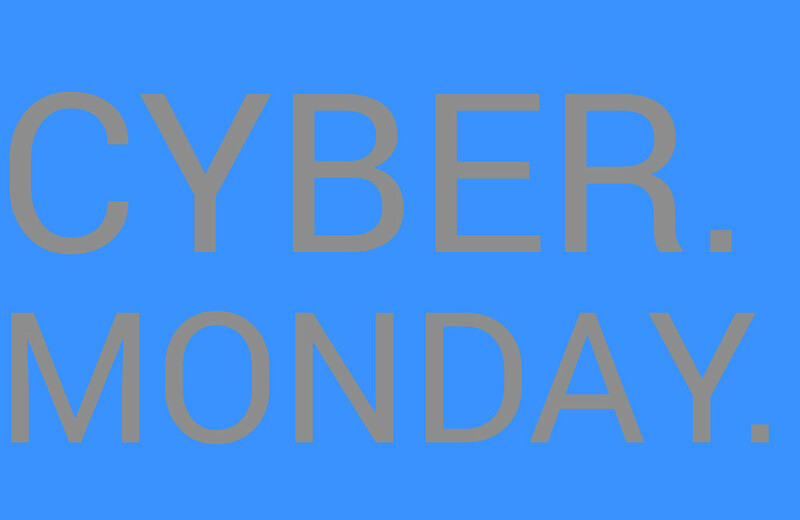 As you all know, today is Cyber Monday, the day built specifically for those of us who want nothing to do with a brick and mortar store on Black Friday. This is the day that online shoppers drool and smile at the deals to be had that do not require us to leave our comfortable office chairs and temperature controlled cubicles. Like we did on Black Friday, we will continue to update this one massive post, rather than post up each deal individually. So, you may want to check back throughout the day as we try and update it with the best deals around. Some are carry-overs from the weekend, but many are new. Ready? Let’s save some cash. Get a Moto X (2nd gen) for $140 off, which makes it $359 off contract – includes MotoMaker. Verizon is also running deals that include the $99 LG G Watch, $50 off Nest Thermostat, and a whole bunch of discounted accessories. These deals are already live. Buy the Nexus 9, Nexus 6 and Google will give you a $50 credit towards other purchases on Google Play, just like we said they would. You can also buy an Android Wear device and get the same $50 credit, plus the G Watch is $99. Finally, the Chromecast has been discounted to $25, from $35, and includes free shipping. The Nest, like everywhere else, has been dropped to $199, which is a $50 discount. Google has also slashed prices on apps, games, music, and other goodies up to 50%. The whole list can be viewed here. The Nest Thermostat has been discounted by $50 at almost every retailer, but you can also buy it directly from Nest for the same $50 off price, which brings it to $199. The Nest store is also selling the Dropcam for $30 off. Unfortunately, the $30 deal is only for the original Dropcam, not the Pro. NVIDIA is hosting two bundle deals for its SHIELD products. The first is for the SHIELD Tablet, with a Controller, Half-Life 2 Episode 1, Half-Life 2, and Portal for just $399 ($488 value). The second is for the SHIELD Portable, which includes a carrying case and glossy black armor shield for $199 ($258 value). Pebble has slashed the price of both its original Pebble Smartwatch and the Pebble Steel. The original Pebble is $79 ($20 discount) and the Steel is now $149 ($50 discount). If you want one of the original smartwatches that continues to be a success, now is the time. TYLT, maker of really nice accessories for your tech life, is discounting all products by 50% off from Black Friday through Cyber Monday. All you need to do is enter promo code “CYBER2014″ at checkout to get the discount. Some of the more popular accessories from TYLT are things like the VU wireless charger, their Energi Backpacks, awesome car chargers, Energi Power Cases, and Energi powerpacks. The Jawbone UP24 and Mini Jambox are both $99, which is a $30 discount. If you see other deals, be sure to let us know in the comments. Question of the Day: Pick Up Anything Good Yesterday?